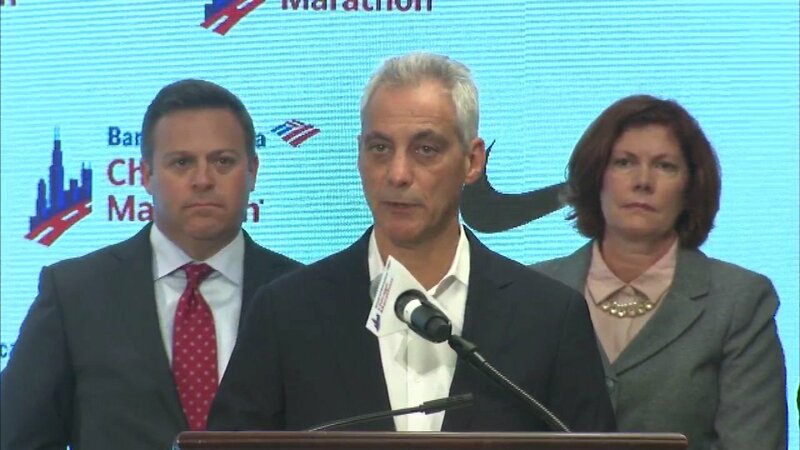 Chicago Mayor Rahm Emanuel at a press conference to kickoff the Chicago Marathon on October 5, 2017. CHICAGO (WLS) -- A Cook County judge ruled that Chicago Mayor Rahm Emanuel broke state law when the city failed to turn over emails related to city business that the mayor had sent and received on his personal cell phones. The Chicago Tribune took the city to court arguing that it violated the Illinois Freedom of Information Act by withholding the emails for nearly 18 months. In a statement, the city said it "has established an accepted process that ensures that any emails relating to City business from the Mayor's personal accounts and devices are produced in response to FOIA requests."